Pots Wholesale Direct is a leader in importing and supplying quality Pots at the best value direct from 10 different factories worldwide cutting out the middleman and providing unbeatable prices to Australian customers guaranteed with savings up to 40% off our competitors. In our 8000 square metre warehouse we hold a massive range of over 10000 pots, 1000 statues and 100 water features in stock at all times so you can rest assured we have the stock on hand to fulfil your orders. 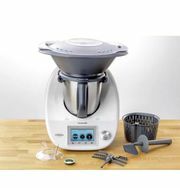 Includes: Thermomix tm5, mixing bowl + base, mixing knife, lid, measuring cup, varoma set, basic cookbook, festive cookbook, toolkit, cook key + thermomix scrubber. All in brand new condition - will be sent in original packaging! RRP 2089.00 - 2 year manufacturing warranty as of 17th dec 2017. Apollo kitchen is the ultimate one - stop shop for all your residential and commercial kitchen design, installation and renovation needs. Address: 120 Long St Smithfield NSW 2164 Australia Website	https://apollokitchens.com.au/. 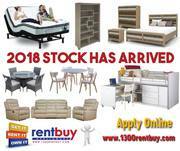 Rent Buy Appliances has the best rent to buy furniture in Mt Druitt for your bedroom, living room, and dining room from top manufacturers. Shop our collection online, today! We provide a flexible and easy way for you to get the furniture, electronics, appliances and other popular brand name goods with affordable, weekly and monthly rental options. Wentworth Falls Pots offers a Giant range of over 10000 Pots, 1000 Statues and 100 Water Features. That coupled with over 25 years experience allows us to reduce prices by up to 40% off the competition guaranteed. phone	02 4757 4230 email	sales@wentworthfallspots.com.au website	https://wentworthfallspots. If you are tired of waiting for an electrician and want a local electrician in Bondi as fast as possible, Service Today is all ready to help you out in any emergency! Electrical problems are uncertain. When it is going to occur, we don’t know. But, with our Bondi electrician, you can be stress-free. Xoxo Roses is a locally owned and operated online florist that specializes in arranging and delivering luxurious flowers around Sydney. Our team of award winning professional florists are expertly trained to pick fresh flowers definite to the occasion and expertly design and arrange them in our elegantly presentable boxes. We are professional and direct supplier of oil paintings for art lovers around the world. 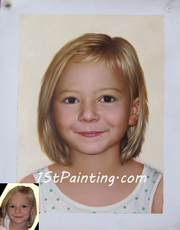 Our artists offer Museum Quality Handmade Oil Paintings Reproductions, Oil Paintings Wholesale and Photo to Oil Portrait Painting. Order Paintings, Please Contact. Email: sales@1stpainting.com http://www.1stpainting. TileCloud is all about getting beautiful design into every home in Australia at great prices no matter where you live, Australia-wide. We have curated a wide selection of the latest trends and all the classics from the tile world and put them all at your fingertips. 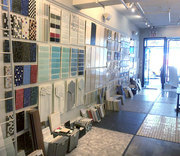 As we all get busier, it’s not convenient for everyone to go to multiple tile stores on their weekend trying to find what works. Lohas Australia Pty. Ltd in Sydney specialises in trading the highest quality architectural products which includes Terracotta Roof Tiles, Recycled Bricks, Handmade Bricks and more. Their services are based on helping home owners in achieving their designs. Contact us today @ 02 8764 4522 or visit https://lohasau. High-end landscape design company. Offering unique, holistic landscape design, construction and maintenance services. Enquire today, call 02 9362 3333. Website: http://wyerandco.com.au/ Email: enquire@wyerandco.com.au Address: 16/28-34 Cross St Double Bay NSW 2028 Australia. Best Wireless Alarm System. 24/7 monitoring. ASIAL CERTIFIED. 1300 858 622 SERVICES: INTRUDER ALARMS, HOME SECURITY SYSTEMS, HOME ALARMS Protect your home and loved ones with Harvey Norman Security smart home security systems. We offer a wide range of affordable and flexible options to provide your home the security it deserves. Shop a wide variety of beautiful and durable outdoor travertine tiler for wall and floor and other applications at Sydney Tilers. Here you can easily find the perfect match for your interior and exterior flooring needs. View for more details about outdoor travertine tiler. Halcyon Dreams Pty. Ltd offers discount on aussie wool quilts products. You can choose a quilt that will give you plenty of coverage for good sleep. If you have a standard sized bed, choose a king size quilt, or select super king if you have a king-sized bed. Call at 1300 653 482 for more information and services. Selling only memory foam mattress and different types of memory foam pillows. Can also do other custom made mattresses. Address: Unit 6/ 7-9 Percy Street Auburn NSW 2144 Australia Phone: 02 8937 2618 Email: sales@sleepsecret.com.au website: http://sleepsecret.com.au/. Are you looking for self watering pots in Sydney? Urban Eden & Co developed self watering pots with the objectives of making gardening easy. Our self watering planters will help to grow a wide Varity of herbs. Our pots are the ability to add fertiliser to the water itself. You have no need to add dilute solution into the soil; you need to added dilute solution to the water and plants will receives itself. Kraftdirect has a wide range of Mandala duvet covers like TEAL MEDALLION DUVET DOONA COVER SET, SKY BLUE HIPPIE, BLACK LOTUS FLOWER and more designs..
Natures Colours Online Plants & Gifts one of Sydney’s most trusted supplier of quality plants & gifts. We specialise in bringing you the best quality hedging, screening & feature plants at the best possible prices along with our ever increasing range of Living Gift Plants & Bombonieres. Address: sydney Dural NSW 2158 Australia Phone: 0424 616 572 Email: info@naturescolours. 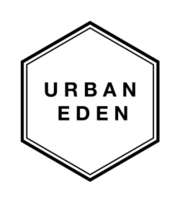 Urban Eden & Co. is wholesale distributor of indoor and outdoor garden planters, pots and vases. We provide garden containers to both interior and exterior landscaping professionals, Sydney, Australia and New Zealand. Our company specialize in large wholesale pots, small pots, and planters. Our garden containers are durable and elegant for your garden plants and herbs. Masterjet in Sydney offers high quality steel bathtubs, spa baths, hydrotherapy spa baths and more at affordable price. We offer 30 years warranty on all bathtubs and 5 year pump warranty. We also provide services to install the hydrotherapy system to any bath of your preference. Visit http://www.masterjet. Excellent tiles make lovely house. The simplest and the cost-effective way to remodel the looks of your previous house is replacement of it's previous tiles with some designer ones. There are superior Tile Shop Sydney Cbd and showrooms in Sydney that are providing some pretty nice product with which individuals can produce a space for their need. At Vizzini, we care about innovation, style, and safety as much as you do when buying kitchen or bathroom products. http://www.vizzini.com.au/ 1300 VIZZINI (1300 849 946) info@vizzini.com.au. Masterjet in Sydney offers an impressive collection of steel bathtubs and freestanding bathtubs that can make your bathroom look more elegant and welcoming. We are experts when it comes to bathtubs and we offer only high-quality products at affordable prices. We offer a range of style options, from modern to traditional vintage. We, at Vizzini take great pride in having the most stylish & practical shower screens in Sydney, Australia. From rectangle shower screens, square shower screens, single panel shower screens, slider shower screens, to diamond shower screens; we have many types of shower screens that can easily fit into your bathroom setting. Dabbour Top of the Block provides excellent selections of meat products and high quality cuts. Visit us online today or contact us at 0478098556. dabbourqualitymeat.com.au. We are based in the Macarthur Area of South Western Sydney. we can provide services at cheaper rates to the larger consultancies. Residential, commercial and industrial sectors are all serviced and all scales of projects can be engineered, from removing load bearing walls to medium-rise unit developments. Don’t spend your day in a clumsy and oily kitchen. Go for a thorough renovation and get a smart custom kitchen in Sydney. We help people renovate their old and oily kitchen and make it look stylish with smart features.. Check out the latest collection of modern wall and Floor Tiles Sydney at one of the leading manufacturers and suppliers of tiles – tile town Sydney. Visit our showroom and get the best deal within your budget that adds value and elegance to your property. You can call us and talk to our experts. http://www. Are you looking for designer sofas in Sydney? Visit: www.thesofaking.com.au/ Australia’s #1 Website of Sofas: providing a large selection of Modern sofas, Leather lounge, U shape sofas L shape sofa, vintage sofa at affordable prices: Biggest sofa sale ever - Don’t miss out a chance to buy your dream. Whether you simply need a small window louvre or a cascade of roller shutters, we at Quality Discount Roller Shutters are the go-to guys. We have a wide range of products to fit all your needs as well as experts in our field who are always ready to offer technical assistance when required. We always strive to provide the highest quality of work in as little time as possible. Home, garden Sydney ads Sydney, Home, garden classifieds Sydney, Home, garden free ads Sydney, ads for sale Sydney, ads to buy Sydney, FREEADSAustralia Page number 7-1. Find here ads for sale, to buy and rent in Sydney. Goods for sale in Sydney, vehicles for sale in Sydney, Sydney real estate for sale, Sydney property for sale, property for rent in Sydney, business ads in Sydney, Sydney business classifieds, services in Sydney, Sydney services ads, jobs in Sydney, pets for sale in Sydney, Sydney dating, Sydney cars for sale.